The Tideline images chart light’s journey across the water’s edge each hour for the duration of a day. 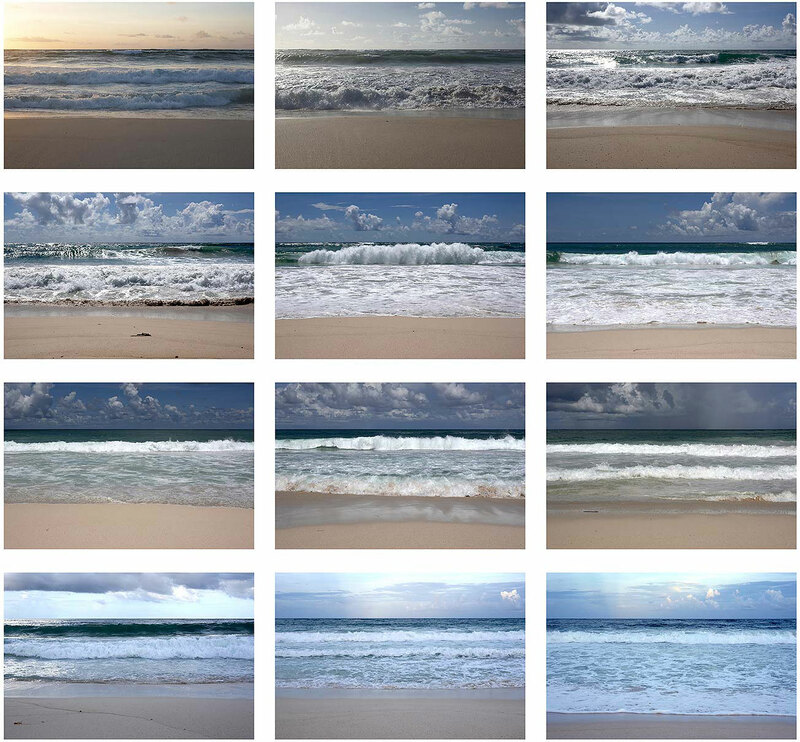 The works are each created from twelve images shot from identical locations during the daylight hours of a single day. Each typology observes the subtle transformation that time and light, working in unison, manifest across the triptych of sky, sea and shore. In comparison, colour, reflection and tone constantly change to redraw our attention to the uniqueness of each moment in time and place. The works were created on the shores of Mustique in The Grenadines, West Indies. The artist will donate 10% of all sales to the Mustique Charitable Trusts. (Limited Edition of 7 produced as a complete set of 12 images as a single artwork / Limited Edition of 3 produced as a full set of 12 separately framed images).